Ham: Bone In Ham, Water, Turbinado Sugar, Vinegar, Kosher Salt, Molasses, Celery Powder, Spices. Glaze: Evaporated Cane Syrup, Spices and Canola Oil. Note: Ham is fully cooked – do not over bake! Take a deep roasting pan and place the ham, face side down, and then cover. 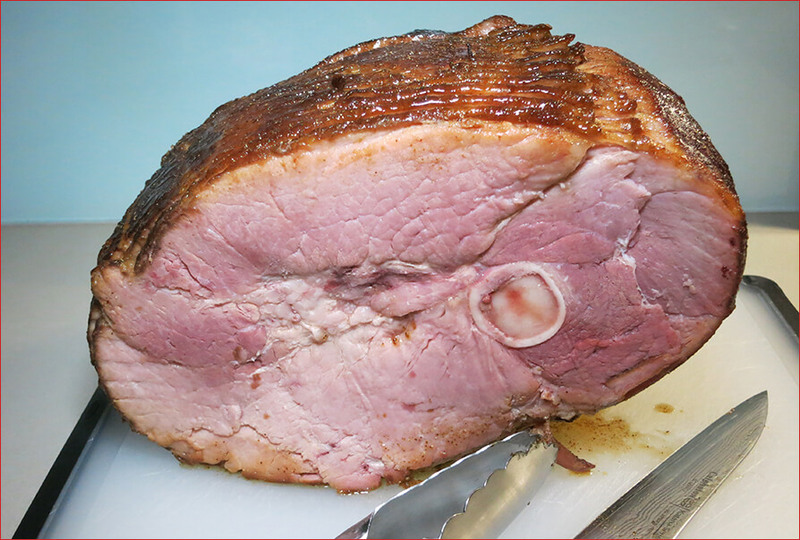 Heat the ham for 12-15 minutes per pound (to approximately 120°F internal temperature), or until the desired temperature is achieved. Take a small sauce pan and combine the provided glaze packet with 1/4 cup of water. Place the sauce pan onto a stovetop burner set to medium heat. Stir the mixture continuously until the entire spice packet has dissolved into the water. Baste the warmed ham with the previously prepared and cooled glaze. Once the glaze has been applied to the whole ham, place it into the preheated oven, uncovered. Heat the ham for 7-10 minutes or until the glaze is crystallized. Allow the ham to cool to the desired serving temperature. We found that more time was needed to reach an internal temperature of 120°F, but we opted for a lower temperature vs. drying out the ham. Regarding the glaze instruction about stirring the mixture “continuously until the entire spice packet has dissolved” – because there is white pepper and ground cloves, etc. the spices will never FULLY dissolve, but a few minutes of stirring is all you need. Regarding the glazing instructions, unless you have 2 ovens (we don’t), you would theoretically have to keep the ham out of the oven for 10-15 mins until your oven temperature preheats from 275°F (the ham cooking temperature) to 475°F (the glazing temperature). Letting the ham cool during that time seemed counterintuitive to us, so we let the oven preheat only as long as it took us to glaze the ham. Then we cooked at 475°F for 10 mins and everything worked out perfectly. We love the Christmas holiday season. It’s the perfect time to reconnect with friends and family, and, of course, there’s so much festive food to enjoy. In our opinion, when the nights grow long and the air gets chilly, nothing brings out the holiday spirit like a roasted ham for dinner. This year was the first time we tested a ham roast from TJ’s – usually we opt for one of our tried-and-true online purveyors. But you can’t beat the in-store convenience, and this ham has all the right attributes: uncured (i.e. no nitrates), no antibiotics, no hormones and never fed animal by-products. We ended up snagging the last Spiral Sliced Ham from our local Trader Joe’s, and it was a beast – weighing in at 10.57 lbs. Much more than we needed, but who doesn’t love leftovers?! So, what did we think? For some reason, we had low expectations, but we dead wrong – this ham was delicious! It may very well have been the best Spiral Sliced Ham we’ve ever cooked! It was tender, not overly salty, and very flavorful – with a touch of sweetness. 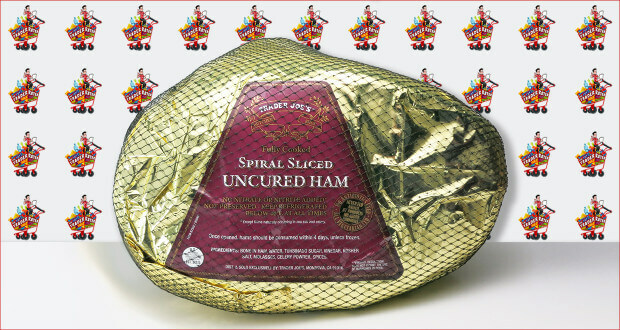 One criticism: the spiral cuts only went down about 1″ into the ham, so it was more “spiral scored” than it was “spiral sliced”. It actually made it harder to cut. But we’re thinking this was actually a mistake, and that other TJ hams had their slices all the way to the bone (feel free to weigh in if you’ve experienced the same). All told, we’re definitely fans of this Uncured Ham, and we’ll be back next year for our holiday feast. As for now, we’re looking forward to a few weeks worth of ham and eggs, ham sandwiches, and whatever else we can think to cook up with the leftovers (recipes welcome!). Summary : This Uncured Ham was a pleasant surprise. It was tender, not overly salty, and very flavorful - with a touch of sweetness. The perfect Christmas treat! Trader Joe’s has great products. We enjoyed the turkey over Thanksgiving and looking forward to the ham sometime tonight. Unfortunately the directions for re-heating of the ham are not correct. On our package the instructions were – 275 degrees with 12-15 minutes a pound. My 10lb ham has been in the oven for over 2 hours now and only 90degrees internal temp and this on convection. Hungry an unhappy family at the moment. Sorry to hear that! We agree that the cooking instructions didn’t seem right to us either. Ours didn’t get to the right temp during the time prescribed, but that said, because the ham is fully cooked already, we didn’t wait until it reached the 120 degree mark. We figured it was better to serve it at a lower temp vs. risk drying out the ham. Still, might be worth reaching out to Trader Joe’s to suggest a tweak to the instructions! 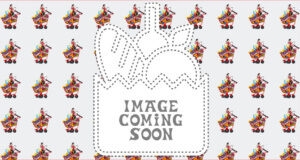 Thanks for checking out our site! Cheers! Good point, Charles. We remember noting that in our test ham as well – it made for a bit of a sloppy presentation. Might be worth reaching out to TJ’s with your gripe. Just cooked one of these for New Year’s dinner. First, cooking instructions were WAY off — ham was far below desired temp even with an extra half-hour and oven temp raised to 300. Also, it was just sort of slimy. It came packaged with a slimy liquid which was really off-putting. I thought that would go away after cooking, but it remained. Even after the final hot-oven bake to cook on the glaze, the slime remained between the spiral slices. Family agreed it was just icky. Never had to throw away good ham after a meal, but this was not on anyone’s mind for leftovers. Mimi, thanks for posting about your experience. Sounds like a disappointment! Our recommendation is to bring your receipt to Trader Joe’s and get a refund for the ham. In our experience TJ’s really stands by their products – if you feel let down, get your hard earned money back. We do it whenever we run into a product that’s not up to snuff. Thanks again! I’m wondering if that slime on the ham is normal. I bought one ham, opened it, saw the slime and assumed something was wrong with the meat. TJ was great about exchanging the ham. I just opened the new one and it has the same slime on it. I’m assuming it’s the water, sugar, vinegar, salt, molasses, celery powder and spices as listed on the package. I’m not used to seeing slime on the hams I purchase, which were other brands from other stores. The ham smells fine and I’m currently roasting it, but the slime makes me nervous. Is this normal on the ham, or is there something wrong with this one too? Please let us know what you hear back from them! Just made the spiral ham and it was a big hit! The ham was meaty, tender and tastey We have to cut back on sodium so when I saw that this ham had half the sodium of honey baked we decided to try it. I did notice the “slimey” feeling on the top of the ham, but assumed it was part of the fat and flavoring. It cooked off during the baking and glazing process. Since the ham was fully cooked, I did not bring it to the 120 degrees as recommended. I cooked ours at 15 mins/lb and that brought the internal temp to 95 degrees. I think taking the ham out of the fridge at least 30 mins prior to cooking would help. Honey baked ham has you just bring their ham to room temp so we are used to that. The glaze is very good. Next time, I will add a little more brown sugar to it. Thank for the tip. Our mouths are watering! We’ve got to head to TJ’s and pick up another one soon. When we were there last week, we saw a new variety – Maple glazed maybe? We’ll have to test and review that one soon! I was In Trader Joe’s and they were sampling these. It was amazing. I bought it around thanksgiving and the girl told me it would keep until thanksgiving in the fridge until after January if unopened. I opened it 4 weeks later and it was covered in a thick slimy goo as some above have mentioned. i couldn’t find any information about it so I nervously put it in the oven hoping it would melt off as the juices of the ham. Unfortunately it was still a gloopy mess and the ham tasted a bit sour. I had to scornfully discard it, much to the great disappointment to my husband. I want to try again with another ham because it was fantastic as a sample in the store but perhaps the shelf life is not as long as the date on the tag. I dont have a receipt unfortunately.